I bet the Free Candy Van is parked on the driveway. They all float down here… When you’re down here with us, you’ll float too! 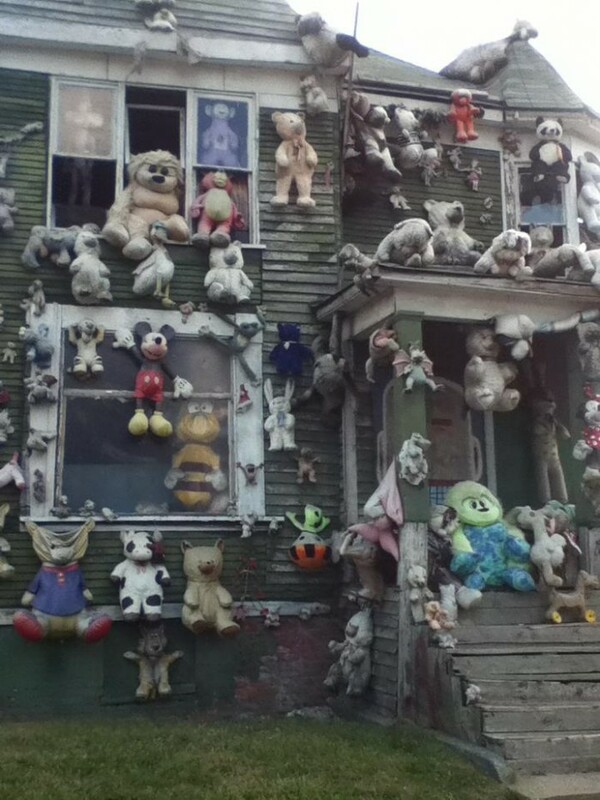 This house of horrors is in my neighbourhood. I would have burned it to the ground if I lived on the same street. PS I like how google blurs out the doll faces.